1. The first mistake parents make is blaming the teacher for all of their children’s inadequacies. The best way to explain this mistake is by an example. A few years ago, parents came in after school to talk to me about their son’s low grade. Their son had a C- in my honor’s freshmen class. I could tell they were angry with me before they started talking. “Why didn’t you contact us?” they demanded. “I’m sorry. I don’t understand. Why did I need to contact you?” I questioned. “You watched his grade plummet from a C+ to a C-.” This student didn’t study very hard for his first vocabulary test, so the C+ was the highest grade he had had in my class. “You should have emailed us when you noticed this.” They spit at me. “I want you to care about my son’s education!” The mom raised her voice. “We are too busy with our jobs to help him study.” They were incredulous that I would even dare suggest such a thing to them. The three of them stormed out of my room and marched straight to the principal’s office. When he didn’t respond the way they wanted him to, they met with the superintendent. I lost track of their movements after that. I’m assuming they remained disgruntled because I kept my job, and I was not asked to dumb-down my curriculum. I have heard through the grapevine that these parents believe public education failed their son. 2. The second mistake parents make is they don’t question the A. When I get students as juniors, the biggest complaint I get from parents is, “Why isn’t my child getting an A like he/she did in all his other classes?” These students usually can’t write and have a non-existent work ethic. Parents, please hear me loud and clear: If your child is getting an A in any class but you never see him/her writing a paper or studying for a test, your child is not getting the education he/she deserves. I know that an A usually means everything is going well, but if there is no work to show for that A, then that A is meaningless. I’m not saying that every child should have hours of homework every night, but they should be writing (at the minimum typing a final draft of an essay) at least a few times a month for each of their classes, if not more often. An A with no proof of actual learning taking place is just a letter. I get students at the junior level who cannot write a logical sentence, yet they have been straight A students until my class. When I give these students opportunities to revise essays, they have no idea how to fix them. It is one of the most frustrating parts of my job. Instead of improving and preparing these juniors for the next level, I have to teach the basics of communication and sentence structure. All of this could have been avoided if these students and their parents confronted their previous teachers (of all subjects) with the lack of writing and challenging work in their classes, instead of being happy with the grade. I know we all want teachers who are kind to our children, but I also want my children to be challenged; I want them to learn how to communicate well. Many teachers hand out A‘s to deflect the angry parents, like the example I gave earlier. Parents rarely pound on desks when their children have A‘s, even if there is no evidence that their children are learning, no evidence that their children are being challenged to become thinkers and problem solvers. Instead of the desk pounding in my classroom the parents from the above example did over their son’s C, they should have been in those other classrooms asking the teachers to challenge their son so he could develop a better work ethic, a work ethic that is absolutely necessary at an ivy league college. Those parents should have been asking previous teachers to create more writing assignments so their son could improve his thinking and communication skills. All those parents cared about was the A, not the learning. 3. The third mistake parents make is they help too much or not enough. I have encountered both types of parents, and neither type truly cares about their child’s education; yet they will blame me for somehow failing their child. Parents help too much because they get frustrated with guiding their children in completing their homework; it’s easier for parents to complete the assignment, rather than guide their children. Instead of saying, “What steps do you need help with?” Or “Let’s learn about this topic together,” some parents just do it for their children. These enabling parents, more likely than not, clean up after their children as well, instead of dealing with the resistance and teaching the necessity of doing chores. Even though it is hard at times and time consuming to 1) let children do the work, 2) check it for errors, and 3) discuss with them what could be fixed or improved, it’s better than the alternative. Children who aren’t encouraged to do their own work will feel inadequate with their abilities. They will become intellectually crippled in the classroom, waiting for the answers or for someone to complete the work for them. These children will someday become adults who can’t solve problems, who doubt their own intelligence, and who are afraid to try because they’ve never been able to develop a work ethic. They will not be competent citizens. Parents need to set up rules with their children and follow through. Encourage them to do something well, not just get it done. I make my son rewrite his answers until they are legible. He fights me sometimes, but what is finally happening is he is trying harder the first time so he doesn’t have to do it over again. Yes. It may take longer, but what is more important than helping children with the abilities and skills they will need to ensure a successful future? The other type of parent is the prideful, hands-off parent. Over and over again I hear from the parent who is a writer or an English teacher or a successful professional who proudly tells me, “I never help or even read my child’s papers. It’s your job to teach him/her how to write. Not mine.” Every time I hear this I want to shake my head and yell, “What? Why the hell not?” But of course, I’m not allowed to have a reaction like that, so I try to encourage those parents to find a healthy balance of helping vs. doing. Children should have autonomy in their homework: Let them write the rough draft, so it’s theirs, but everyone can benefit from an editor. I know I never publish without someone looking at my post first. And if a parent has the knowledge base to give a grammar and writing lesson on top of that, that’s an added bonus. Why would anyone want to rob their children of that kind of instruction? I don’t understand when that kind of help became my job, only. Even if a parent doesn’t have a degree in English or communications, most people can tell if writing is detailed enough, if it answers a prompt, or if it has sentence structure problems. Parents should suggest ways to fix an error or question the meaning of something. What a great way to engage with their children and to emphasize the importance of education! I know it takes time to work with a child’s writing, but that one-on-one help is exactly what some children need to thrive. Who better than a loving parent to help with that? My next post will present a number of positive ways parents can be instruments of change in their children’s schools. What are your thoughts on the mistakes parents make? I’d love your feedback. This entry was posted in Advice For Parents, Education Reformation and tagged Education Reformation, Parents, Students, Teaching. Bookmark the permalink. All I understand from your article is that parents aren’t doing their job to teach their kids to improve their grade in your class. Unfortunately, all kids are not born with the same level of intellect and skills set like the ones getting A’s in your class but that does not mean you should stop doing your job as a TEACHER to help the other ones. You get paid to teach kids and help them in anyway professionally as you can but if you put your responsibilities on parents that are paying high amounts of money for fees, then you are definitely asking for parents to pound on your desk and report your inexcusable behavior to your head. My point, in this post as well as every education post, is that education is a partnership with three people: teacher, parent, and student. No child is born with the skills necessary to succeed, but those skills can be taught and encouraged. Parents are also teachers; they teach their children every day for the rest of their lives. I have between 25 and 32 students in each of my five classes. I present all of the information they need to know and work one-on-one with students when they tell me they need help. I offer suggestions to those who don’t want to sit with me. Please, tell me specifically what I need to do as a teacher to help my students succeed. I’d like to hear what you think I should have done in the example I gave. Help me understand your frustration. Pauline, I understand the trichotomy of power balance needed to make students work. Please do not take my feedback as a judgement call on your teaching abilities. The point I wanted to bring forth is similar to yours that students, teachers and parents need to equally work together in an effort to bring out the best performance in new generation. Instead of blaming one or the other for being the black sheep, we must look towards solutions. Parents need to feel informed and engaged about the downwards performance of their kids through teachers in a well timely manner. Teachers need to improve their communication techniques to effectively teach all types of students. Correct me if I am wrong but your frustration in this article is purely through a teachers point of view and I’m sure when you look at it through a parents perspective it will be very different. A student is much less like an apple seed. You can patiently nurture it and at the end see the fruits of your hard effort on the tree. If through that apple seed tree you want to grow an orange, it will not happen no matter how much you nurture it. I have come across many teachers that give excuses as to why students and parents are to blame for their own inability to teach. I don’t have to give you examples of such excuses as Jacquelyn here under has already been kind enough to demonstrate my point. Teachers generally give up on below average students for very simple reasons. As mentioned by Jacquelyn “How you think it is possible to help every single student in the middle of class time? Especially when many of them are more concerned with last weekend’s big party or the dance next week..” If teachers lack motivation to properly teach a subject, then students are never going to improve and telling parents to fill that gap is useless. There is an old African Proverb “A calm sea does not make a skilled sailor.” Teaching is not an easy profession and expecting each students to make the same effort as A+ students is rather not a realistic approach nor expecting every parents to follow their kids around with books. In my opinion a good teacher is not someone who proudly shows their top students to parents of a below average grade student to hide their inefficiency to teach but a wise teacher would show the performance of their low grading students and how they improved through their hard efforts overtime by following the tips of the teacher. Nathan, thank you for your feedback. This post is one of many in my series for educational reform. I encourage you to read through my posts so that you can see the big picture of my vision, instead of judging my perspective of parents on this post alone. I am a parent; that is why I understand the problem and feel it necessary to address the problems we all encounter in education. After you read how I feel as a parent and a teacher, I welcome you to share your experiences as a teacher. Your judgment of our profession must be based on your own experiences in the classroom. To address your communication issue, let me assure you that at my school we have a beautiful internet service that allows parents to check grades 24/7. Parents can also sign up for immediate notification of grade changes if they want to stay on top of their children’s grades. With all the demands on our time to reach those non-performing students, which in my view are the D and F students (not the C students, like in my example), updating my grades is the best and quickest way to communicate with students and parents. My example was one snap-shot of the situation. I asked that student every day after class, “How can I help you? Do you need some more studying techniques? Will you stay after so I can help you improve your writing?” His answer every time was, “I’m fine.” His parents storming my room was the result of him telling them that I didn’t care or that I was unavailable to help. I think the issue here is that they had unrealistic expectations of their son and in his attempt to avoid their anger towards him, he blamed me. And for the record, I have never given up on a student in all of my years teaching. I know there are teachers who should not be teaching, and I have addressed that issue in other posts, but I am certainly not one of them. This reply is more generally meant to Nathan Bachman than to you Mrs. Hawkins, forgive me for overstepping! Nathan, I student-taught in my last semester of college, and though I had wanted to become a teacher since I was in grade school, I learned that I had no idea what the day to day life as a teacher is like, and I would venture a guess that you also do not understand the realities of the profession. You charged that “you get paid to teach kids and help them in any way professionally as you can but if you put your responsibilities on parents…”[then you are asking for them to be upset]” But let me ask you how you think it is possible to help every single student in the middle of class time? Especially when many of them are more concerned with last weekend’s big party or the dance next week? Teachers are now given 30 to 35 students in many classes, students furtively text under their desks thinking teachers do not know, and thus disengage from the lesson entirely. Group work also generally becomes a time for socializing about weekend plans. Teachers try to curb these activities and encourage students to engage in collaborative learning, but the ratio in the classroom is not on their side. One teacher to 25 or 35 students? This makes it very difficult to give every student individualized attention, and doubly difficult when students do not take advantage of the instruction offered to them. If you had read the post carefully, you would have noted that she gave the student in question study tips to make what might seem a difficult workload manageable. Moreover, she asked what she could do to help and the student never gave answers. If she doesn’t know what his needs are, he has not approached her, and he has not responded to her inquiries, what else can one do? Especially when the grade in question is still a C-, rather than a failing grade. Teachers are not mind readers. They are human beings who are clearly responsible for the education of students for a period from 50 to 90 minutes each day, but who also make themselves available before school, after school and during their lunch hour. Many teachers check their e-mail over breaks, weekends and holidays as well. Help is available for all students, they need only to ask. Problem is, even if a teacher sees that a student is struggling, if she approaches him or her during class to suggest they stay after for some extra help, they risk ostracizing and embarrassing the student. Teachers have gotten far more creative than you would know when suggesting students come in for extra help, but that is all we can do: suggest that they come in, and be available. The phrase, “you can lead a horse to water but you can’t make it drink” rings especially true. Teachers are facilitators of knowledge, but students need to take an active role. Putting the responsibility on parents to monitor their own child’s grade is not at all outrageous. Teachers have 125+ students a semester, not to mention their own children, if applicable. Angry parents on the other hand, have one student in the class. If their child were struggling in any other aspect of life, it is reasonable to think parents would intervene, so why shouldn’t they intervene in education, and monitor their student’s grades and effort? Please don’t appologize! I’m so proud of you and the woman and professional you have become! I feel honored that you responded, but also saddened that you might not join the ranks of competent and passionate teachers, something you obviously are. Thank you for your response and I agree with everything you said! And please, call me Pauline 🙂 You are no longer my student. I know how hard it will be to make that adjustment, but I welcome this new, adult relationship with you! I think the criticism you’re receiving here comes from a perspective that sees education as nothing more than a “product,” that is, a consumable, purchased good. From that perspective, students and parents are customers and nothing more, and teachers are customer service reps and nothing more. This is certainly true to an extent, but to over-emphasize that element of education is to make a grave mistake about how learning happens. Yes, you are paid to help students learn, but students must, in the end, seek their own education. You are their guide, mentor, and helper in this process, not their agent or service representative. If the student, or their parents, value other things instead of learning (like sports, for instance) I think it’s only appropriate that their grades reflect that. I’m not at all suggesting that there aren’t teachers out there doing a bad job. On the contrary, there are many many of them (I teach English at the college level, so I have to mop up after them far too often). I don’t think that, based on this post, I would say you are among them Pauline! I think that your insistence that students and parents take a degree of ownership in their education makes you a very good teacher. You won’t be there to hold their hands forever, after all. Thank you for sharing your perspective. As a college professor, I’m sure you see the same things I see when I get students at the junior level who cannot write a sentence. One of my greatest accomplishments was working with a student who never received writing or grammar instruction until she took my class. She worked with me every day, asked questions, and revised drafts of essays until it was where she needed to be as a junior. She is now on my high-school newspaper staff, writing solid, beautiful articles. I get teary-eyed every time I think of how hard she worked with me to get to this point. I’m so proud of her for caring about her education enough to put the effort into her writing. But I am also frustrated that so many students have that same experience, but they decide not to work, or someone didn’t fight for the rights to be educated by competent teachers. I know incompetent teachers exist as well, but it is truly the parents, students, and administrators who need to fight the battle against that situation. Those are the stories that make doing what we do all worth it! Keep at it Pauline! Yes! We have to decide whose responsibility it is for students to study and to enforce that responsibility! Yikes, inexcusable behavior? It is very easy to speculate on what a teacher “should do”, especially when you aren’t a teacher. I read no where in this post that Mrs. Hawkins would “stop doing her job as a teacher”. For many students, education within the classroom simply isn’t enough. 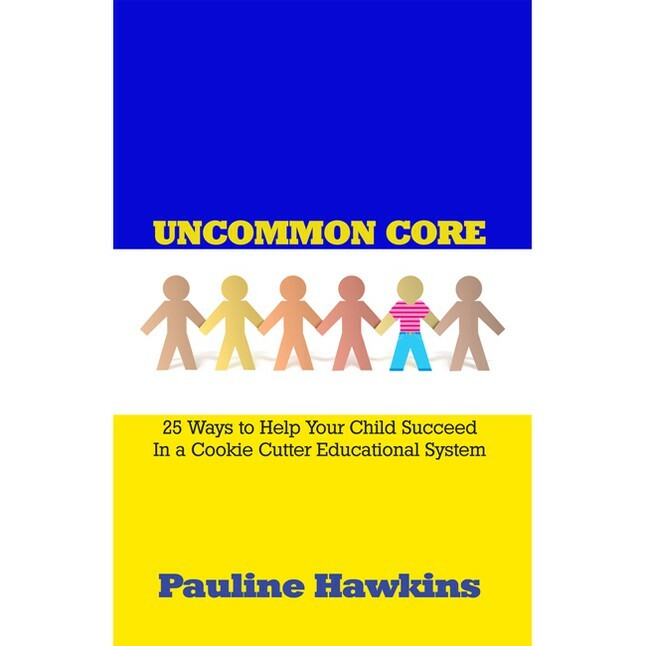 Reinforcement within the home is imperative for the success of many students. This is not a new phenomenon. Thank you for commenting! It seems that this adversarial relationship between parents and teachers is a new phenomenon, though. I think if we can fix that broken relationship, we can make some great strides in fixing the problems in education. And, please, call me Pauline 🙂 As I mentioned to Jacquelyn, you are no longer my student, but now a teacher, fighting this fight with me. I welcome this new, adult relationship with you as well! Mr. Bachman is correct in saying not all students have the same skills and talents, but he seems, like many parents, to think that a teacher is only doing his/her job if every student gets an A. A teacher does his/her job if every child is learning. Good teachers of all subjects work with all the students in their classrooms at all their various skill levels. A student who struggles in a particular subject may make a year’s growth or even more during a school year by working with a teacher in class and one on one, but that student still may not get an A. A grade of A means excellent work beyond the norm. By expecting all children to get all A’s, we set them up for feelings of frustration and of failure. Students should grow their talents and work to improve in areas in which they struggle, but they cannot be expected to be perfect in everything they do, and that is what demanding straight A’s amounts to. Every year I have students who take advanced classes in areas in which they are not especially talented to challenge themselves. They work hard and improve enormously, but many do not earn A’s. They are still proud of their work and their accomplishment. This is the attitude that shows a student truly cares about learning, not just grades, and it is these students I recommend most enthusiastically to universities and scholarship boards. Well said, Karyn! Thank you for your insightful comments! It’s so empowering to see a teacher who is able to calmly and capably face aggressive parents in a situation that could have easily escalated (and kind of did). As a pre-service teacher, one thing I do not yet have experience in is dealing with parents, and although I can talk the talk and claim that the classroom is my space where I call the shots, it’s still just talk at this point. I’m glad I have your example to refer to! As a relatively difficult student of yours (in different ways than the one mentioned above, but I was no doubt a challenge) and one who was in the presence of even more difficult students of yours, I can attest to the fact that you were patient and graceful without compromising the integrity of your classroom. I can imagine what a tricky balance that is/was for you! Thank-you so much for this perspective. I’m sincerely looking forward to the next post, if only to lock away some glorious information I can access when I have young hooligans to look after. You were never difficult, Michael! I knew you were just trying to live your life the way you thought was best and to help others do the same. My job was to help you be the best you could be, while making sure you were an ethical journalist. You’ve sought and found enlightenment; your perspective has changed, but your heart hasn’t: You still want to live a fulfilled life and help others do the same. And I’m thrilled that your ethics are still intact! C+ to a C- is a very tiny change especially if that is the level of work that the student has been doing consistently. My cooperating teacher is a real stickler for contacting parents. And yes, everything is electronic now and parents can EASILY check their child’s grade, it is still the teacher’s job to contact the parent before a grade drops to a D or an F. Just because that is the times we are living in now. I’m not saying I agree with it. I just know that if we don’t contact parents regularly, then we can get in trouble. Part of the APPR requires teachers to show that interaction with parents, so teachers are being evaluated on this now. My cooperating teacher sends out emails every week about what the kids are doing in school and what homework is due. She covers her bases because she has to, because parents become like you describe. But if you cover all of your bases you don’t give parents the option to say that you aren’t contacting them or that they don’t know what is going on in school with their kid. You also don’t give the kid the option to lie to their parents. Its tedious and unnecessary, hopefully parents will stop trying to defend their children so readily. But yeah, I’ve been to team meetings where a bunch of the teachers discuss how a child is doing, that the child completely lacks discipline and then that student still comes in with a new iPhone the next day. I’ve heard stories of administrators having to go to the child’s house to try and drag them into school and the parents never returned their phone calls or answered the door. Teachers could bend over backwards, AND ARE, AND IT’S STILL NEVER ENOUGH. This is very disturbing. So besides enabling children, the powers-that-be want you to enable parents as well? I refuse to participate in that, and if it starts to happen where I work and I lose my job because of it, so be it. I am a professional. No other profession is treated this way. It’s time to swing the pendulum the other way! Those parents approach to you Pauline, was wrong,regardless of their motive.When I have to solve o problem I do not start by antagonizing the other party and risk to put her in a defensive mode.I simply state my concern and ask for the other person view,listen and agree or not, in a civilized manner.They just gave their child a bad behavior example. On the other had I understand hose parents frustration, too. I don`t know the details of that situation so I don`t want to take a conclusion.As parents,we see the crisis in the education system reflected by our kids falling academic results compared with their peers from other countries.We also compare how schools used to be when we were of age and how they are now. There is much more ignorance in our youth now than before ( a few days ago I had a haircut and the young lady who cut my hair had problems spelling my name,George).We also see teachers at strike for higher salaries (we have a situation like that right know ,in one of my neighboring cities) instead of fighting for a reform in the education system ( better curriculum, a realistic evaluation system,etc).On top off all,if the parents take for granted everything their children says it`s just a little push they need (maybe a bad day at work) to go ballistic. I know it`s not easy to work with kids these days when they are looking ,most of the time, for an instant gratification and are used to be cocooned (“feel good” and “having fun” policies) regardless of what are they doing.The solution to situation like this is not simple and can not be given only by one party. The parents have to get involved in their children education by monitoring what are they doing at school ( a 5 min daily chat after school can do wonders) be realistic and engaging the educators and the policy makers in a constructive manner if they feel something has to be corrected.It`s not just about grades but about the final results and their children readiness to compete in the real world. The teachers should speak out their concerns regarding the educational process and not just when their financial benefits are affected.Also,they should engage the parents if they feel they have to.We are only on CLICK away.I`m not saying they should e-mail or text all day long but they have to find a better way to communicate with the parents on a constant base. The policy makers should be aware that they will pay the price for their inefficiency at the next election or sooner if they will not facilitate this dialog. It is a tricky situation. What bothers me the most is that I will always be professional in my dealings with parents, but parents are not held to the same standards, even if they are professionals themselves. For me, this is where the salary issue comes into play. People who are not teachers don’t understand the importance of fighting for higher salaries in our profession. If I wanted to get rich, I wouldn’t be a teacher; I am a teacher because that’s who I was created to be–it is my calling. However, in this country, people are treated with respect based on the capitalistic views of our society: The more money one makes, the more respect one is shown. If teachers’ salaries were competitive with other professions that require the same education, training, and excellence needed to perform the jobs well, then we would also be looked at as professionals who deserve respect. Higher salaries would attract more competent people to the profession, as well, which would move education in the right direction. Thank you, George, for reading and commenting! I appreciate your perspective! Another problem I see is that by the time kids are in high school the consequences of failing or getting low grades are so high that fear drives a lot of the decision making. Parents can’t just let their kids fail and learn from the mistake because with college applications looming, the cost of failure is just too high. Given that taking risks and learning to recover from mistakes is central to becoming a success in life, this is a shame. I agree! One of the biggest problems that add to this scenerio is the way middle school is run. Students can fail all three years and still move on to high school. Those students went from zero-stakes to high-stakes courses in one year. So much about our educational system has to change.